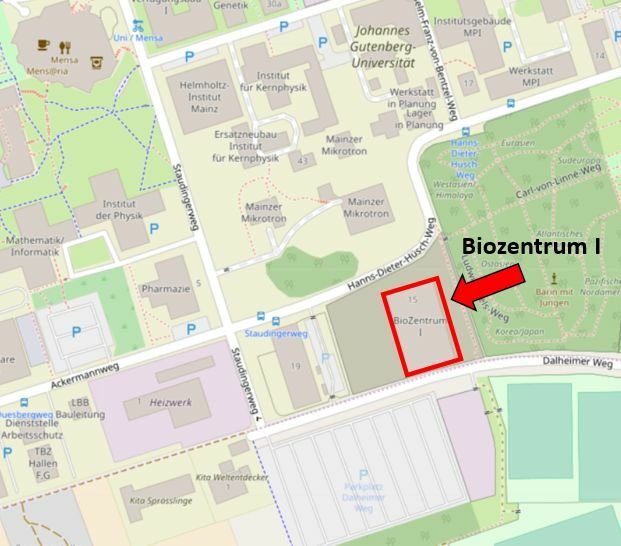 We are located at the Biozentrum I. See here a map of the JGU campus, which includes directions of how to get here. We are in the ground floor, at the South end of the building. Our offices are 00.462 (Jean-Fred, Michael), 00.466 (Pablo, Tommaso), 00.470 (Miguel), 00.474 (Birgit), 00.467 (Enrique) and 00.485 (Steffen, Kristina, Lars, Lukas, Jannik, Judith, Shahid).